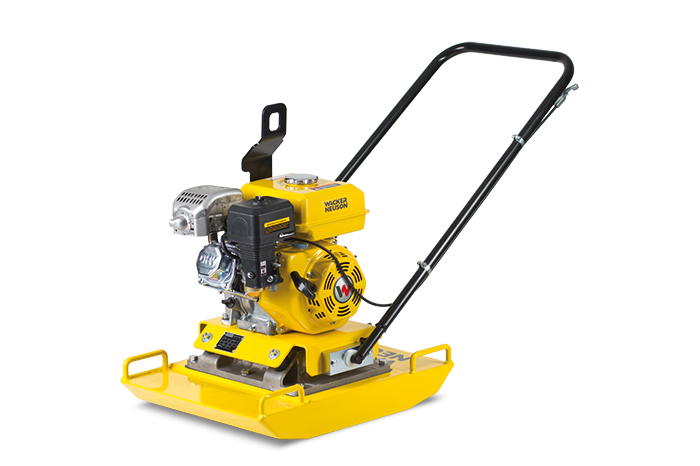 This is Wacker Neusons entry level single direction vibrating plate power by a reliable Wacker Neuson petrol engine. This general purpose machine is ideal for compacting crushed rock, sand, pavers and asphalt. Its compact design contributes to its lightweight features spreading the vibrating force across the whole surface of the plate. Equipped with vibration isolated reversible handle and throttle control ensuring your a purchasing a durable machine that is less fatiguing on the operator. Durable reversible handles that isolate from the vibration. Compact design with centrally mounted, fully enclosed exciter for a consistent and even spread of force from the base plate.